We have a dedicated wallcoverings area where you can view wallpapers and blinds and browse pattern books filled with different fabric designs. We stock a good range of paints, including designer brands, and we also sell various decorating accessories. We welcome interior design bookings – just get in touch to arrange a consultation. You’ll find us friendly and professional, and we take pride in offering a consistently excellent service to all of our trade and retail customers. 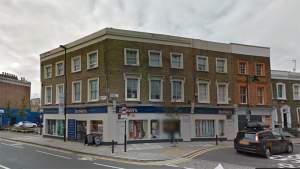 The Brewers Decorator Centre in Islington is next to the chemist and health centre on the corner of the A1200 New North Road and Rydon Street. It’s about 100 yards north of Shoreditch Park and just a five-minute walk from Essex Road train station.